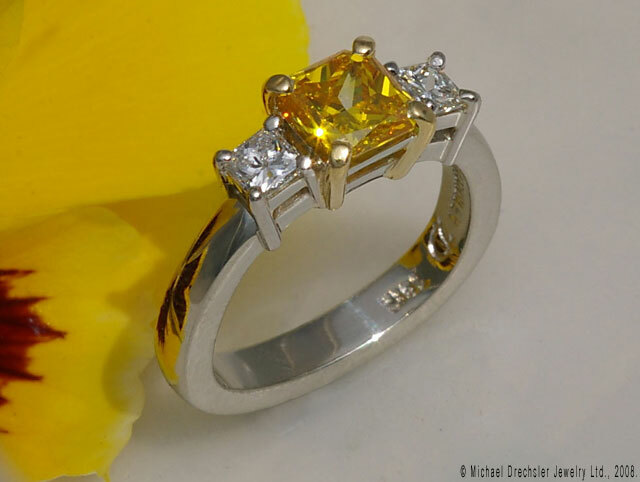 This 18 Karat, white gold ring features a radiant cut, laboratory created diamond that is orange-yellow color. It is flanked by white princess cut diamonds. - 0.86 carat lab created center radiant cut diamond, SI1, Fancy Vivid Yellow-Orange. 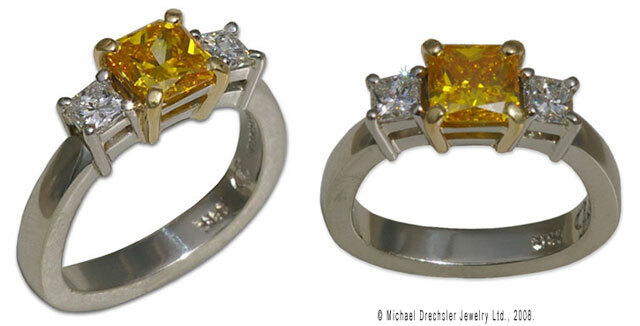 This ring is designed and handcrafted by Michael Drechsler Jewelry Ltd.